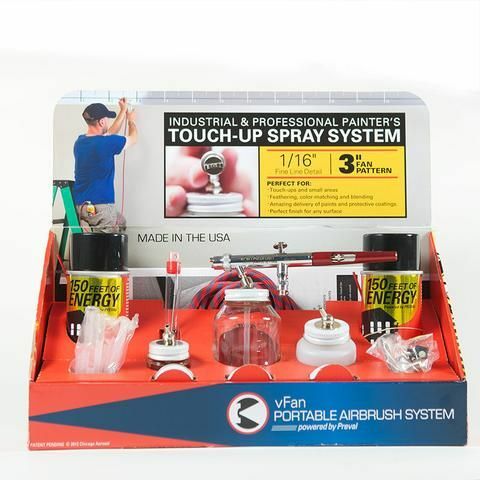 Additional Dip tubes, tools and accessories Instruction Manual enclosed in our Award Winning upright, Bi-lingual packaging The vFan Portable Airbrush is an all-in-one touch-up system for precision painting, surface prep, touch-ups and curing – anywhere and anytime. 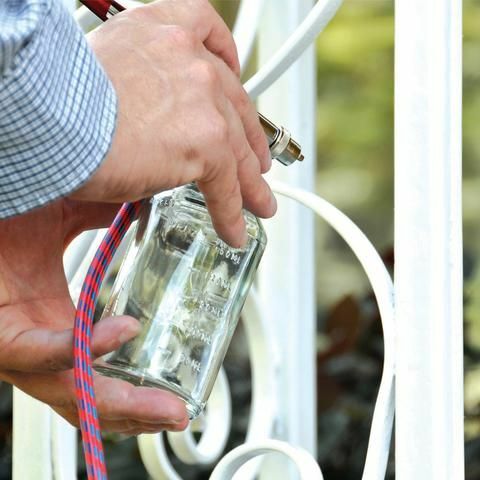 Our siphon-fed, dual-action stainless steel and brass vFan airbrush delivers professional results with a silent pressurized can compressor that fits in your pocket: 150 Feet of ENERGY. We suggest using the cans of 150 Feet of ENERGY with our EDU (not included) for long lasting use. 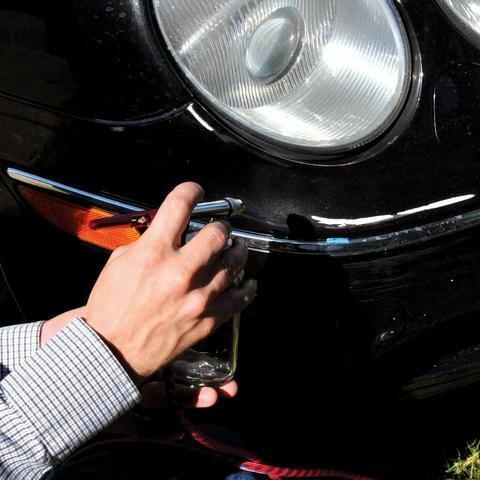 Our award-winning vFan Airbrush is a portable painting workhorse that sprays from a 1/16" detailed line to a 3" fan with total consistency and almost no overspray. 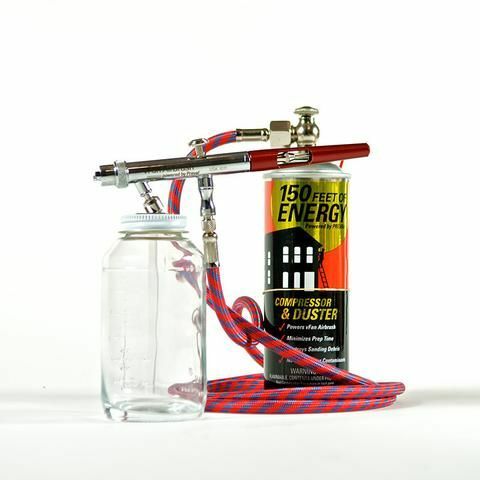 As a 'hybrid' airbrush system, the vFan Airbrush works with our silent 150 Feet of ENERGY pocket compressors and our Energy Dispersal Unit, as well as most electric compressors.